Enjoy the essence of Korean traditional BBQ and more! Gangnam is the most trendy area in Seoul, Korea where all our restaurants are located. We decided to move Gangnam here to California. 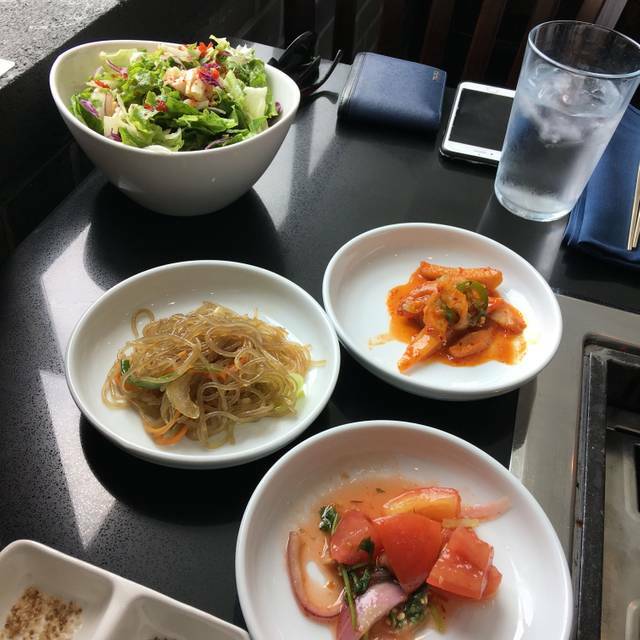 We feel that there is no good Korean BBQ restaurant using the GOOD meat in California with the right price. So, we decided to use high quality meat adding Korean flavor with reasonable price where many people can enjoy the casual dining comfortably. Gangnam house is a restaurant that sells Korean Grill from traditional Bulgogi and Galbi to high-quality dry aged beef. Eating in Gangnam house will resemble eating top notch Grade A sirloin steak at a fancy & stylish restaurant with traditional Korean flavor. Here, all meat is grilled to perfection to provide the best taste. We will give only the finest Korean grill anywhere, anytime, at any cost. It was relatively cheap $12 so we decided to give it a try. It was small but taste awful. 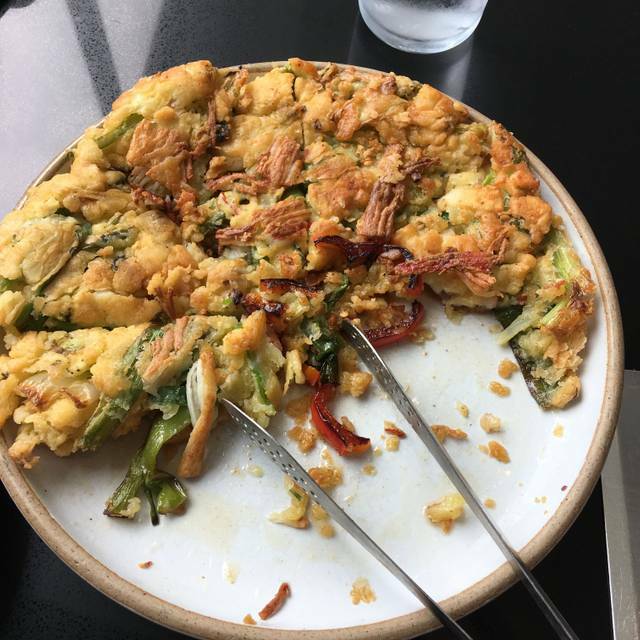 It was mostly a flour and was totally missing any seafood It has to be the worst seafood pancake I have ever tasted. It’s located in a new plaza that’s hip and trendy which was really refreshing in OC. Food and service was outstanding! Very dirty. The first glass I was offered was dirty, so i asked for a new one. The next 4glasses were just as bad or worse. There wasn’t a clean one in their stack of “clean” dishes. The service was spotty, like the wares. The food was ok. The one redeeming part was they had a Belgian Wit on tap. We order meats separately and not with the combo which can be more expensive but we prefer ordering that way. After watching a movie at the CGV cinema, we decided to try out a new restaurant that was not AYCE Korean BBQ. We were looking for quality over the quantity. The food was good and our server Christine was very attentive to our needs and made sure to check by and see if we needed anything. She was more friendly than some of the other servers who weren't as accommodating and nice. I am not sure if it's the restaurant's ceilings but it was pretty loud and hard to hear when the restaurant wasn't even filled to capacity. I would think if the restaurant gets crowded, the noise level would be quite loud. My husband had a hard time hearing me from across the table and it was hard to have a conversation. But the food was good and the service was great...will definitely come back! Sometimes it's a little intimidating to go to an Asian restaurant because of the language barrier... BUT at Gangnam House all the servers speak English! I feet comfortable in recommending this restaurant to our non- Asian friends.